Ken Jurabe's outing with independent Nashua in July 1998 was less than perfect. He gave up three walks while only recording two outs. He also gave up two runs, though neither was earned, according to CharliesBallParks.com. Jurabe had that outing in a season where he made a comeback to the minors. He'd last been recorded as playing eight years earlier, in 1990. The second half of his career lasted just one more season. Overall, he was recorded as playing in five seasons. He never made the majors. Jurabe's career began in 1988, signed by the Yankees as a free agent out of his native Puerto Rico. He played his first season in the rookie Gulf Coast League. In 12 outings, 10 starts, he went 7-0, with a 2.08 ERA. He moved to short-season Oneonta for 1989. He went 7-3, with a 2.82 ERA over 13 starts there. 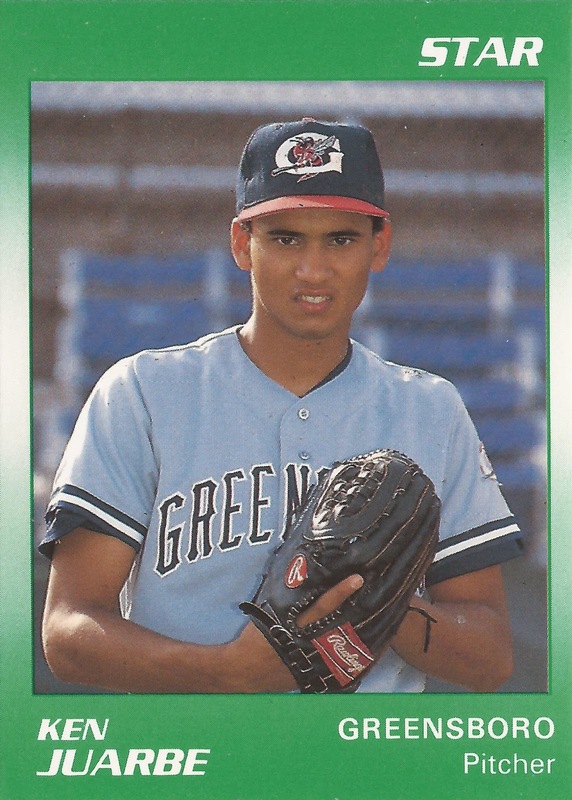 His 1990 season was spent at single-A Greensboro. He got into just 16 outings, starting three. He had a 4.34 ERA. It was his final season in the Yankees organization. Jurabe then isn't recorded as playing again until 1998. He got seven outings at AA Tulsa with the Rangers. He had a 5.65 ERA. He then moved to independent Nashua. In 28 outings, three starts, there, he had a 3.19 ERA. For 1999, Jurabe returned to Nashua. He had 33 outings, but ended with a 6.42 ERA and a 7-5 record. He was recorded as playing three years later in the Puerto Rican League.